Bridging bricks and pixels together will highlight the importance of both. This complimentary crossing unlocks new destinations to a progressively informed future. Brixton Pixel blurs the boundaries between the urban and digital, between its people and places by revealing Brixton’s unique diversity in all its colours. Just how pixels compose images on a screen, similarly Brixton’s image in all of it’s resolutions will be composed and projected on the bridge. 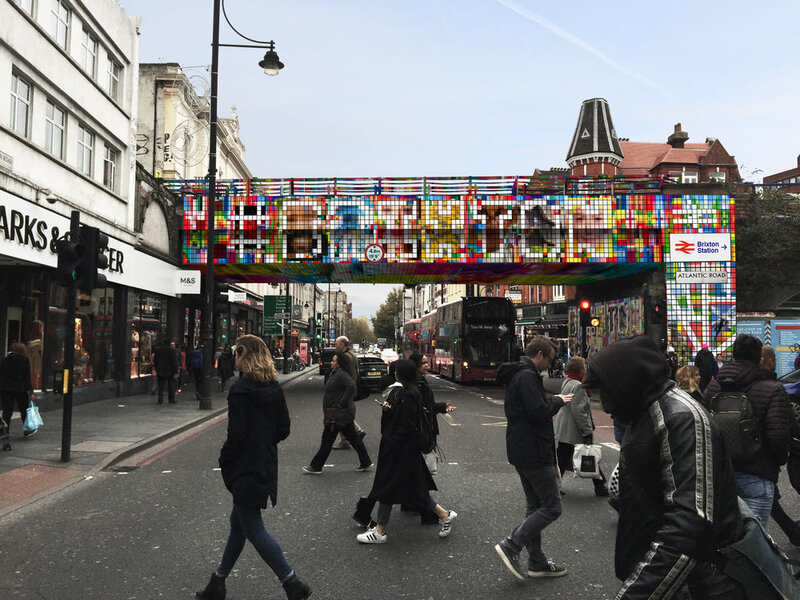 The bridge’s playful resolution grid merges Brixton with its local icons and activities in a seamless spectrum of pixel colours, creating a footprint that will leave an impact and become an urban and digital landmark.